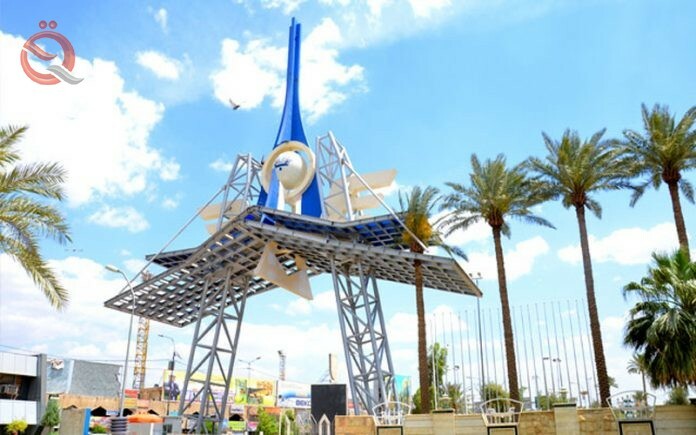 The 45th session of the Baghdad International Fair, which will be held under the slogan "Determined to Build and Build as Liberation and Victory", will kick off next Saturday for the period (10-19) this month. The director general of the Iraqi Trade Exhibitions Company in the Ministry of Commerce Hashem al-Sudani said in a statement read by "Economy News" that his company "finished all preparations for the establishment of the session and success, noting the distinction of the session with wide participation of Arab and foreign countries, some of them participate for the first time or limited their previous participation Small wings ". Al-Sudani said, "The participation of a number of prominent local, Arab and foreign companies in the field of reconstruction and construction, which is hoped to have an active role in the implementation of infrastructure reconstruction projects for the liberated provinces." Al-Sudani affirmed his company's efforts by inviting these companies to inform them about the investment opportunities within the country, especially as it is about to execute mega projects in various fields, most importantly construction projects and reconstruction of the liberated areas. He pointed out that "the wide participation of these countries and different companies, indicate their desire to see the investment opportunities available in the country and seize, especially as Iraq is fertile ground for the establishment and implementation of such projects, which absent for several years, because of the concern of the country in the fight and the expulsion of gangs, "Terrorist that has ravaged several areas of the country." On 24 September 2018, the Security Council Committee established pursuant to resolution 1518 (2003)approved the withdrawal of the following entities from the list of persons and entities subject to the asset freeze provided for in paragraphs 19 and 23 of the resolution 1483 (2003) , adopted under Chapter VII of the Charter of the United Nations. 1518 / materials . The Sanctions List is available in HTML, PDF and XML formats. The UN Sanctions Sanctions Checklist is also updated whenever changes are made to the Committee's List. An updated version can be found at: https://www.un.org/sc/suborg/en/sanctions/un-sc-consolidated-list . Trade Minister Mohammad Hashim al-Ani stressed on Tuesday the readiness and willingness of the Iraqi government to cooperate with the Japanese side in various economic, commercial and industrial fields, pointing out the importance of investment cooperation to attract Japanese companies to work in Iraq. This came during a meeting between the Minister of Commerce and the Japanese Ambassador in his office, today, in Baghdad. "The depth of the distinguished friendship between Iraq and Japan and ways to strengthen economic and trade relations between them and increase their size," he said. Al-Ani stressed the need to sign a joint memorandum of understanding for the future and increase the Japanese investment flows to the Iraqi market, especially as Iraq has promising investment opportunities at various levels in the fields of construction, reconstruction, infrastructure and energy. 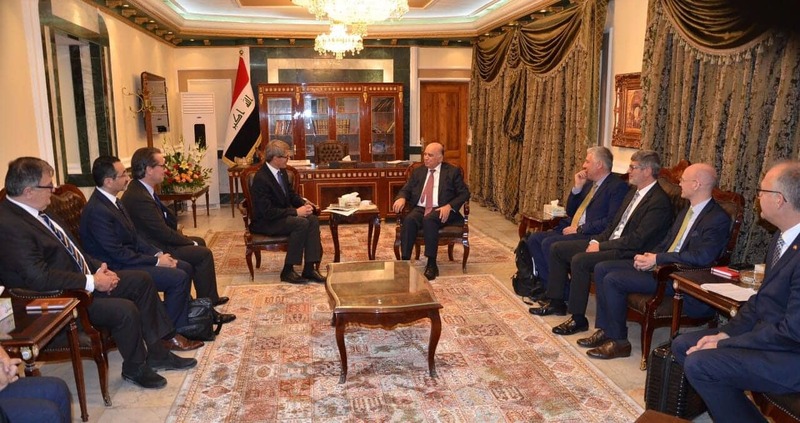 For his part, the Japanese ambassador in Baghdad stressed "the need to strengthen the scope of economic, investment and trade cooperation during the next phase." 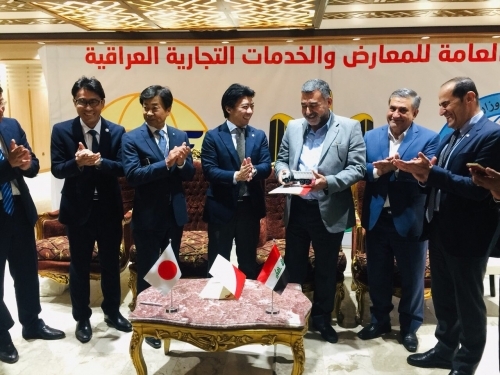 He pointed out that "Tokyo and Baghdad have bilateral relations as distinct as the deepest relationship to the region and can be translated into economic cooperation projects in various fields and benefit from the vast Japanese economic experiences that Offered by the Iraqi market. " The Japanese Ambassador invited the Minister of Commerce to attend the activities of the National Day of Japan, which is held on the sidelines of the Baghdad International Fair in its 45th session in the second day of the Baghdad International Fair, which starts on the tenth of this month. 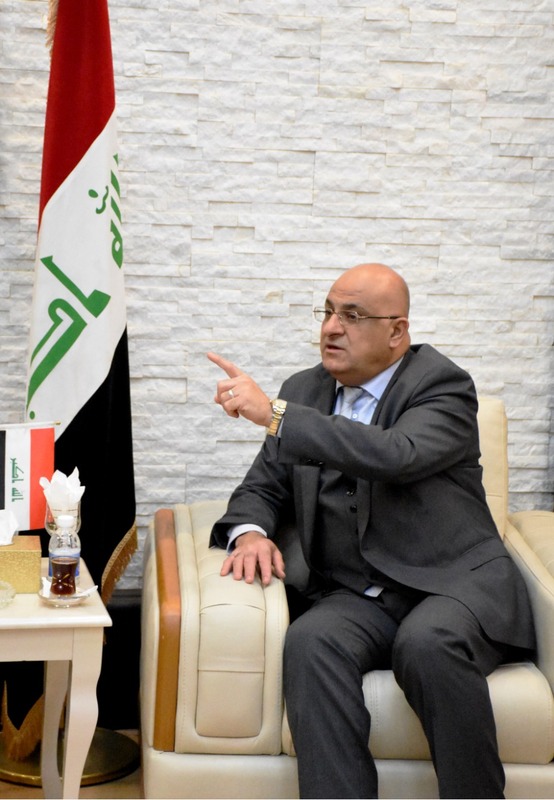 "We are keen to ensure that the 45th Baghdad International Fair achieves success and excellence in terms of participation, organization, security procedures, goals and objectives," Hashem said at the end of the meeting. 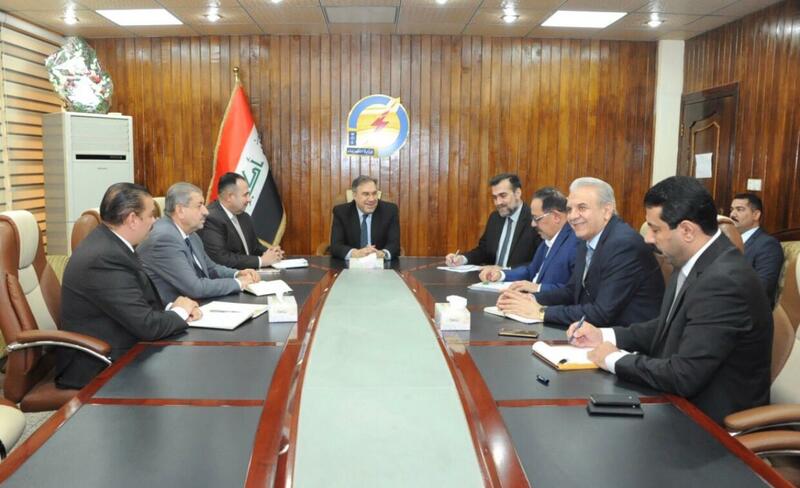 Minister of Electricity Luai Khatib met with the directors-general and their assistants to the companies and directorates of production, transport and distribution of the central region to find out the preparations for the participation of the ministry in the 45th session of the Baghdad International Fair. The meeting was held in the presence of the Director of the Office of Information and Communication Government, to find out the preparations of the Ministry to participate in the 45th session of the Baghdad International Fair. "The participation reflects the real activities of the companies and directorates of the ministry and its employees who are exerting extraordinary efforts to produce, transport and distribute electrical energy, as well as continuous maintenance work," he said. 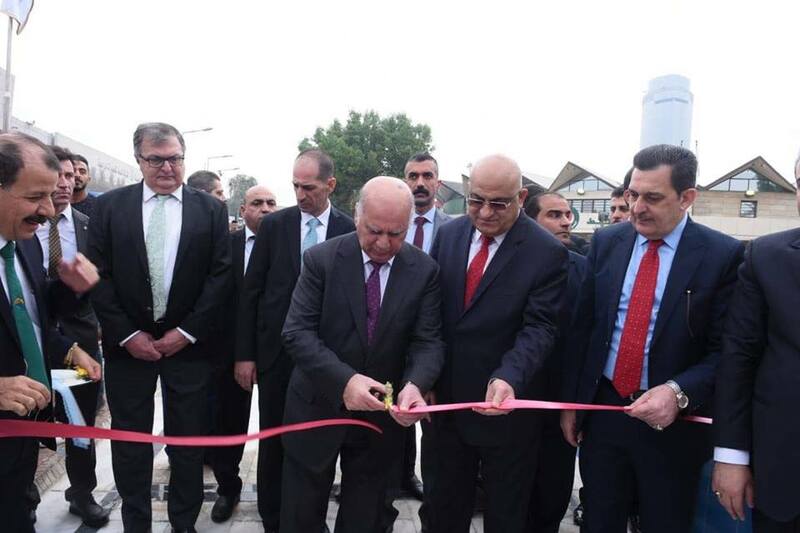 The Baghdad International Fair kicked off on Saturday morning with the presence of Prime Minister Adel Abdul Mahdi and a number of government officials . The main participating countries are Jordan, Lebanon, Tunisia, Indonesia, India, Italy, France, Japan, South Korea and Syria. 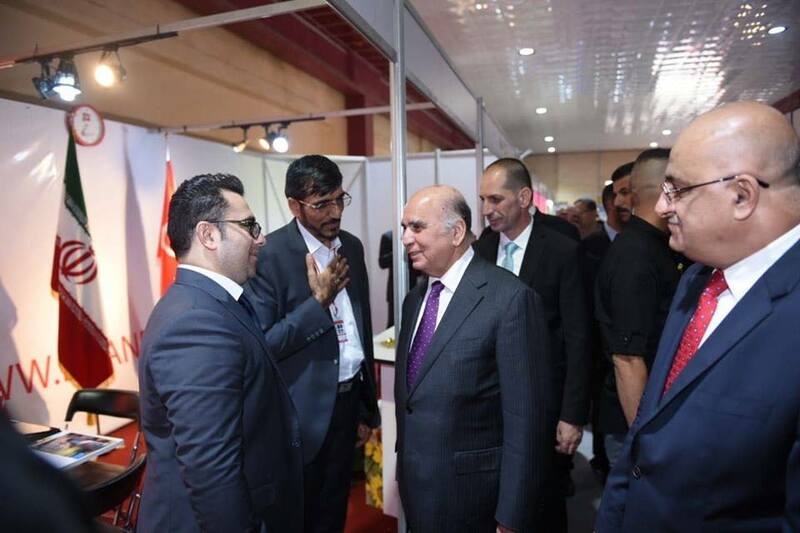 "More than 17 countries and 20 local bodies participated in the Baghdad exhibition at its current session, " Trade Minister Mohammad Hashim al-Ani said on the sidelines of the opening of the 45th Baghdad International Fair . He added that "the Iraqi market is ready to receive foreign investment," noting that "the Iraqi sectors have begun serious steps for development through investment capacity and cooperation with international companies." On the other hand, Prime Minister Adel Abdul Mahdi, on Saturday, work on the development of the Iraqi economy, while noting that the obstacles still exist to carry out investment projects . Abdul Mahdi said in a speech during the opening of the Baghdad International Fair, and attended by "Economy News", "one of the priorities of the government is to work on the development of the Iraqi economy," stressing the need to "provide an appropriate investment environment for launching projects ." Abdul-Mahdi said that "the obstacles still exist to carry out investment projects," calling for the contribution to reconstruction for the benefit of all . "The wars have destroyed the infrastructure and Iraq can not bear the responsibility of building alone," he said. "Our battle today is to enforce law and order, and we do not want a single commodity economy." 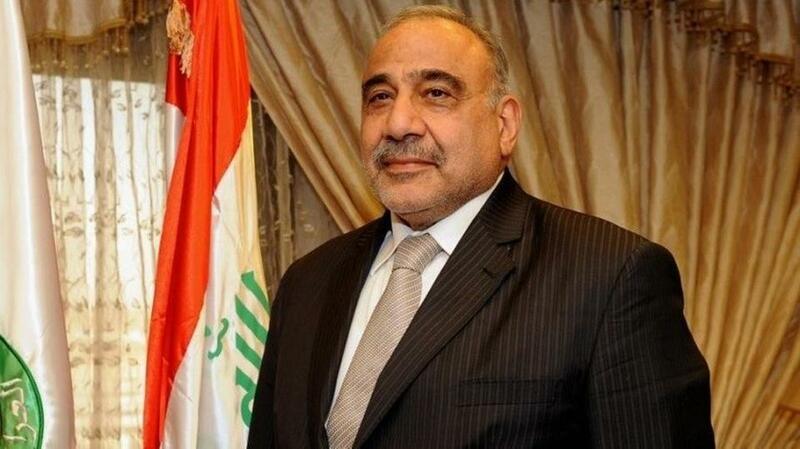 Prime Minister Adel Abdul Mahdi, Saturday, work on the development of the Iraqi economy, stressing that the obstacles still exist to carry out investment projects and must provide a suitable environment for the launch of projects. "One of the main priorities of the government is to develop the Iraqi economy," Abdul-Mahdi said in a speech at the opening of the Baghdad International Fair, which was attended by Mawazine News, stressing the need to provide an appropriate investment environment for launching projects. The wars are destroying infrastructure and Iraq can not bear the responsibility of building alone," he said, adding that "our battle today is to impose order and enforce the law." , And we do not want the economy of one commodity. " 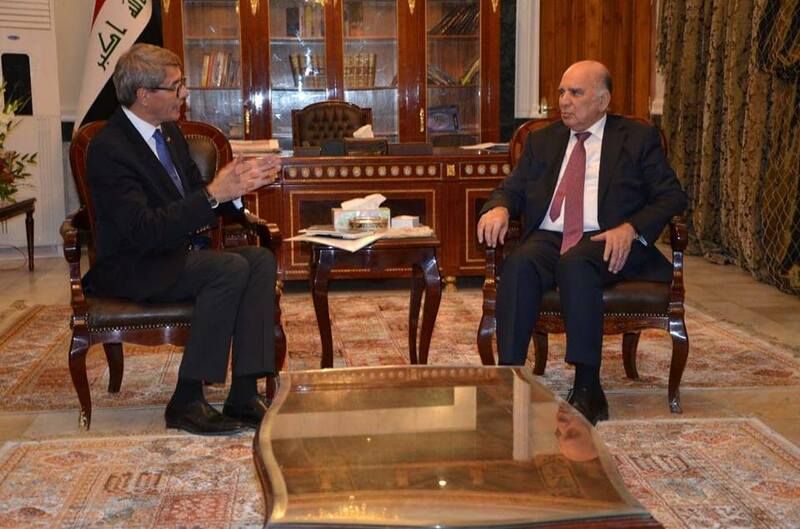 [ltr]Prime Minister Adel Abdul Mahdi said on Saturday that Iraq opens its doors to its brothers and friends to enhance investment opportunities and cooperation that serve the common interests and promote security, peace, development and employment opportunities. Reuters) - Minister of Electricity Luai Khatib opened Sunday the Ministry of Electricity's pavilion on the grounds of the Baghdad International Fair. The Minister of Electricity, expressed his "satisfaction with the exhibits contained in the wing, which reflected the real effort of the workers in the Ministry of Electricity, as well as projects that are under implementation." Al-Khatib called on the ministry's staff to "work on transferring the efforts of different sectors throughout the entire year of the challenges and achievements achieved despite the difficult circumstances that have weighed heavily on all the joints of the ministry." 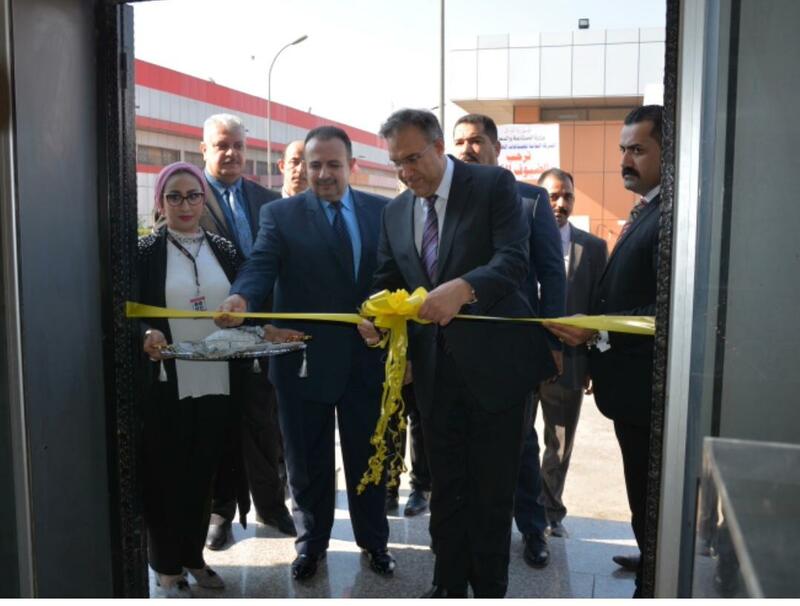 "The Ministry of Electricity's pavilion at the exhibition, which was attended by (15) companies and a general directorate belonging to the ministry, included the presentation of the Ministry's plans through publications and mobile models for its projects, which received the acceptance of the visitors of the wing," Musab al-Mudaras said in a statement received by Mawazine News. , Which reflected the feelings of satisfaction and optimism about the future of a promising electrical system in Iraq. The teacher wished that the state of improvement would continue in the performance of the ministry, which was reflected positively by increasing the hours of processing, despite the departure of a number of obstetric units from the service for maintenance and rehabilitation. He pointed out that "the rationalization of energy consumption had a share in participation, as well as renewable energies and projects, and the affairs of citizens, and the empowerment of women, the Housing Association, and the club of electricity sports." 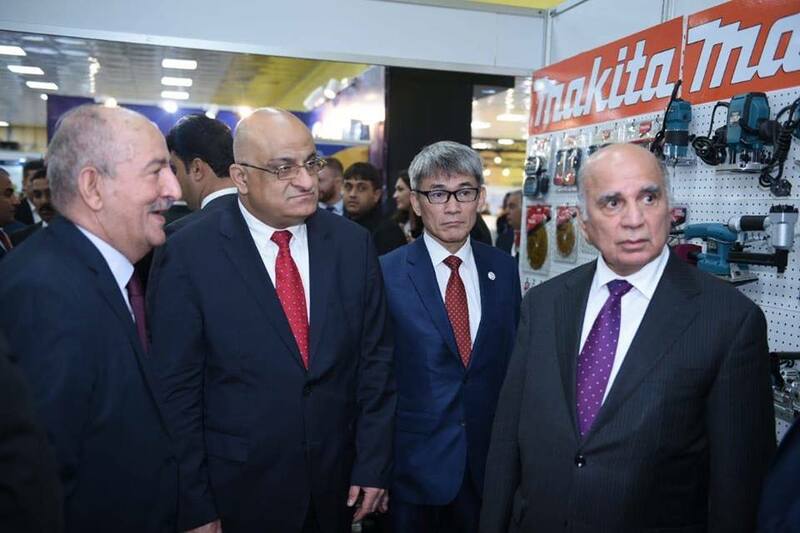 The secretariat of Baghdad, on Sunday, with a Japanese company during the opening of the Baghdad International Fair on the examination and operation of a pilot mechanism for the purpose of contracting to buy a number of them. A statement from the Secretariat received a copy of the "Mawazine News", that "the secretariat of Baghdad agreed with Hino to inspect and operate the mechanism of subdivision within the district of the municipality of Rashid in real working conditions to ensure their suitability service work and the atmosphere of the capital. 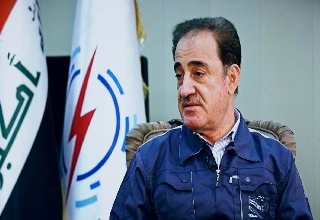 He added that "the inspection of the mechanism will continue for three months and if successful will be contracted with the company to provide the secretariat of Baghdad specialized mechanisms in all districts of the municipal departments." The Deputy Prime Minister for Economic Affairs and Minister of Finance stressed the importance of the Baghdad International Fair this important economic forum, especially after the great victory and liberating the land from the grip of terrorist organizations, stressing that the next stage should be geared towards strengthening the economy and providing services. The Deputy Prime Minister for Economic Affairs Financial companies to contribute to the reconstruction of Iraq and benefit from the investment opportunities available. (Independent) .. 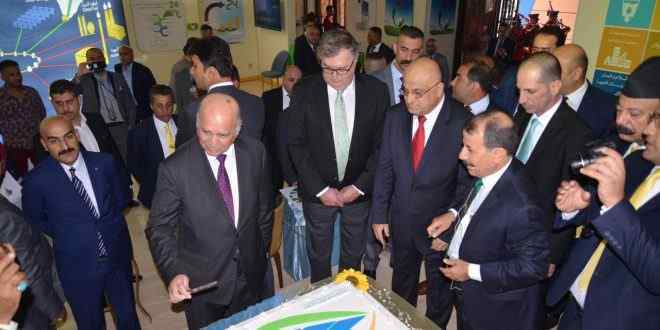 The Baghdad International Exhibition Fair 45, the opening of Baghdad Center for Renewable and Sustainable Energy. "This is the largest building in the Middle East and it is being embraced by the capital, Baghdad, to be a new platform for generating energy and struggling with the historical depth of Iraq," said Mohammed Shaker, head of the center. "The exhibition has witnessed a very important event. The Baghdad Center for Renewable and Sustainable Energy will be inaugurated and will be the largest in the Middle East, specializing in clean and renewable energy," Shaker added. He pointed out that "the center offers many solutions and influential in the energy sector described as sustainable, as this center worked to revive the departments and institutions suffer from the decline because of the lack of allocations, and today is a partner of success to serve the national economy," pointing out that "during the days of the exhibition will be announced new details regarding This project is working to provide 100,000 jobs within five years. " 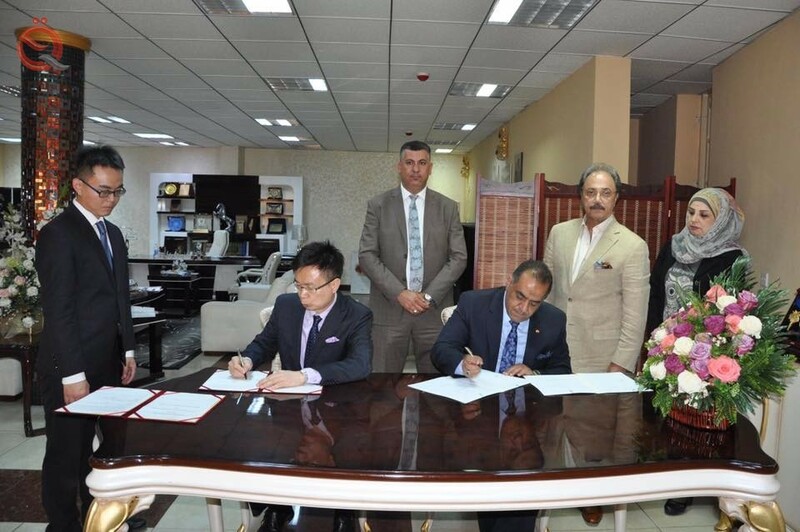 The Federation of Chambers of Commerce announced on Monday the signing of a cooperation agreement with the President of the Taiwan Foreign Trade Center on the sidelines of the Baghdad International Fair. A statement by the Information Office of the Union of Chambers of Commerce and received by "Economy News" that "the President of the Federation of Chambers of Commerce Jaafar al-Hamdani received the President of the Center for Foreign Trade of Taiwan Mr. James Hong in the presence of members of the Board of Directors of the Baghdad Chamber of Commerce, in the wing of the Union within the Baghdad exhibition," adding that "During the meeting, a memorandum of understanding was signed to develop the volume of trade exchange between the two countries." He added that "the Union expressed its readiness to provide all facilities for investors and seeks to activate investment frameworks and trade exchange with all countries," noting that "the meeting dealt with the review of the possibility of benefiting from the commercial experience of Taiwan." He stressed the Federation's desire to develop trade partnerships with all countries of the world by holding strategic meetings that would facilitate facilitating the development of trade, calling on Taiwanese companies to enter the Iraqi market, adding that there is close and long cooperation between the two countries in all fields, He pointed out that the Union is ready to offer all facilities to investors and seeks to activate the frameworks of investment and trade exchange and participation in projects for both countries. For his part, Jimis stressed that the bilateral relations between the two countries in the growth is growing and continuous, and the volume of foreign trade of Taiwan with the countries of the world recently exceeded the value of 435 billion dollars with the countries of the world, which made Taiwan ranks fourth in the world in the volume of foreign trade, That Taiwan is currently ranked sixth in the world in terms of innovation and leadership in modern industries, especially as the new Taiwan has prepared a vision and strategy for development can be used. He pointed out that his country is ready to provide its innovative and pioneering technological experiments in the fields of research, energy, education, health, industry and agriculture for Iraq to benefit from the implementation of its economic and development vision programs through cooperation between the two peoples to explore opportunities and enhance cooperation in all fields of business. Which is currently evidence of the development of Iraq and its progress for the better, calling on the Union to attend the Taiwan International Fair, which will be held in the coming months. 18 countries and more than 700 companies participated in the activities of the Baghdad International Fair at its forty-fifth session with the participation, while Prime Minister Adel Abdul-Mahdi during the opening ceremony that investment projects are still facing obstacles. Abdul-Mahdi said during a speech at the opening of the exhibition that "one of the priorities of the basic government is to work on the development of the Iraqi economy, the need to provide a suitable investment environment to launch projects," adding that "obstacles still exist to carry out investment projects,"
while stressing the need to provide an investment environment For projects, Abdul Mahdi called for contributing to reconstruction to benefit all, especially as wars have destroyed infrastructure. "Iraq does not take responsibility for building alone." "Our battle today is to enforce law and order, and we do not want a single commodity economy," he said. For his part, Trade Minister Mohammed Hashim al-Ani said on the sidelines of the opening of the exhibition, "the readiness of the Iraqi market to receive foreign investment," noting that "the Iraqi sectors have begun serious steps for development through investment capacities and cooperation with international companies." According to al-Ani, "more than 17 countries and 20 local bodies participated in the Baghdad exhibition in its current session." The new edition of the exhibition will be held under the slogan "Determined to Build and Build as Liberation and Victory" for the period from 10 to 19 November. "The current session is characterized by the participation of 18 countries and more than 700 companies representing different sectors, in addition to the participation of major local, Arab and foreign companies in the field of reconstruction and construction to implement the projects of reconstruction of the infrastructure of the liberated provinces." The Director General of the Iraqi Exhibitions Company, Hashim Sudani, announced the launch of the 45th session of the Baghdad International Fair with the participation of 18 countries and more than 700 companies representing different sectors on the day before yesterday. "More than 700 companies representing France, Germany, Spain, Hungary, Pakistan, India, Jordan, Egypt, Palestine, Syria and Tunisia, as well as other countries contributed to the 45th edition of the Baghdad International Fair," he said. The opening ceremony was attended by Iraqi Prime Minister Adel Abdul-Mahdi and a large number of ministers and deputies. The Director General of the Iraqi exhibitions expected that the participation of the current year will increase the imposition of cooperation and investment between international and Iraqi companies. Deputy Prime Minister and Minister of Finance , received at his office in Baghdad and a delegation of businessmen and representatives of German companies men headed by Mr. Uwe Storberg and representatives of Siemens electric power lobby Braun Medical devices and Karl Kolb Scientific technical equipment and a number of German businessmen other participants in the Baghdad International Fair at its 45 . Mr. Stopperg noted that most of the participating German companies have long experience in the economic situation in Iraq and have been working for many years. The participants discussed the mechanism of developing and encouraging foreign companies and investors and attracting them to work in Iraq to develop the economy and infrastructure by providing administrative and financial facilities for these companies to implement projects Long-term strategy. [ltr]The ceremony was attended by representatives of companies and participating countries and distributed certificates of participation and shield of excellence in the exhibition. "The current session witnessed the participation of countries and companies representing the private, public and mixed sectors, as well as an intensive program of seminars, meetings and agreements," said Hashim Mohammed Hatem, Director General of the Iraqi Exhibitions. Among representatives of participating companies, a step towards strengthening partnerships and participation in investment projects. " He added that "the next step involves preparing for the next session, ensuring wider participation in terms of quantity and quality, which will contribute to contain and attract major international companies." Hatem pointed out that "the great attention and follow-up of the distinguished Minister of Commerce, Mohammed Hashim Al-Ani for the exhibition and his daily visits to follow the most accurate details have created an atmosphere of interaction and success and overcome many of the problems as well as his role in inviting ministries to participate heavily in their wings after they were unwilling to participate." He pointed out that "the exhibition company formed a committee of advanced staff to evaluate the Ajnj and participating companies according to criteria and considerations in terms of size of participation and space and decoration and organization and continuity in participation and number and the number of exhibitors for non-Iraqis and the number of visitors and contracts concluded and events and the nature of exhibits to honor the distinctive pavilions. The Ministry of Commerce announced the organization of the Iraqi General Exhibition and Trade Services Exhibition (Iraqi Products Market) in cooperation with the Ministry of Industry and Minerals and the Federation of Iraqi Industries with the participation of more than (30) local companies. This was confirmed in a statement broadcast by the media office, quoting the general manager of the company Engineer Hashim Mohamed Hatem. The exhibition will be held during the period from 10-13 / 12/2018 on the ground of the Baghdad International Fair, which is established by the company to encourage the national product and support to the industrial sector and the Iraqi consumer through the provision of goods and materials produced locally at competitive prices. The statement pointed out that the exhibition aims to promote the Iraqi economy and achieve the economic growth of the country in addition to it is an important opportunity for all participating companies to enhance the confidence of Iraqi consumers local product as a quality and ability of Iraqi citizens to buy. Revealing that the current economic reality of Iraq emphasizes the importance of supporting the Iraqi product and not rely on external goods. Stressing that the Iraqi consumer will contribute to support the domestic product and stand up to the challenges that contributed to the emergence of the policy of dumping goods that caused the fragility of the national economy. , the Ministry of Commerce announced the continuation of the General Company for the manufacture of grain one of its formations, the processing of agents with flour and the achievement of monitoring visits to working mills and agents in Nineveh and Maysan. This came in a statement published by its media office, quoting the general manager of the company Engineer Jassem Mohammed Al Ameri. The statement pointed out that the processing of agents and citizens is proceeding with high flow according to the approved marketing plan, pointing to the achievement of inspection visits by the joint control teams, including working mills and flour agents to follow the mechanism of distribution and see the quality of flour produced and mixtures of grain processed for mills. The statement pointed out that the company continues to distribute flour to families covered by the social protection system. On the other hand, the statement pointed to the company's work mechanism and the level of services provided to citizens in the provinces of Diyala and Najaf, where the percentage of distribution of flour achieved for the meal was considered within the ration card items and the proportion of processing families covered by the social protection network in addition to the work of government mills and quantities produced according to their potential Available and the additional production volume of the compensatory quantities of some areas of Baghdad.